This is the first comprehensive identification guide dealing exclusively with the birds of this region. It covers all the species, including vagrants, found in Ecuador, Columbia, Venezuela, Aruba, Curaçao, Bonaire, Trinidad and Tobago, Guyana, Suriname and French Guiana. Over 2,300 species are described in depth in the text, describing geographical variation, identification, status, habitat, voice and taxonomy. 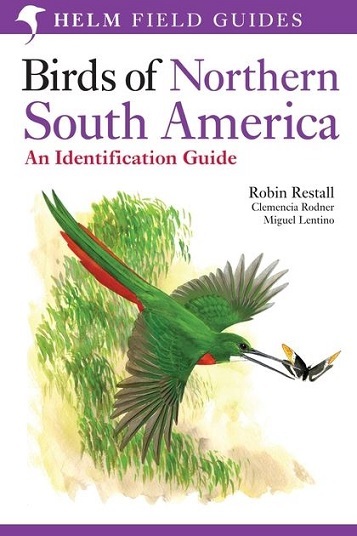 This authoritative book will not only be an indispensable guide to the visiting birder, but also a vital tool for those engaged in work to conserve and study the avifauna of this region, which is of such importance to both the indigenous species and those which pass through on migration. A companion to Birds of Northern South America: An Identification Guide - Plates and Maps.